We all agreed that this run was a lot of fun and worth doing, we also agreed that it was a bit long to do very often as a one day trip. We were amazed at how fast the miles ticked by at the beginning. 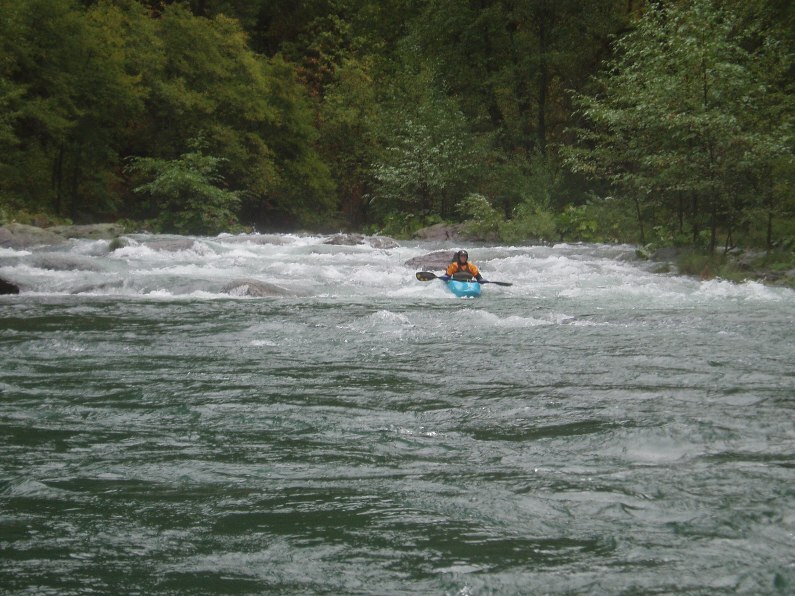 The rapids for the first 12-14 miles are class III with a section or two that are a little blind that push to class IV. 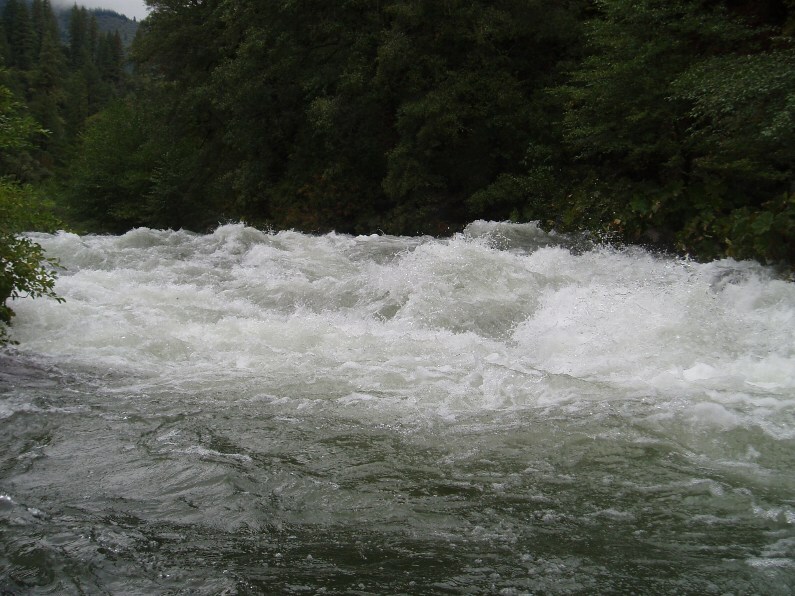 Then you start to enter a few mini-gorges, the gradient starts to mellow out a little, and you get an occasional rapid that has more spice to it. All the big rapids came later in the run and made the end very entertaining. 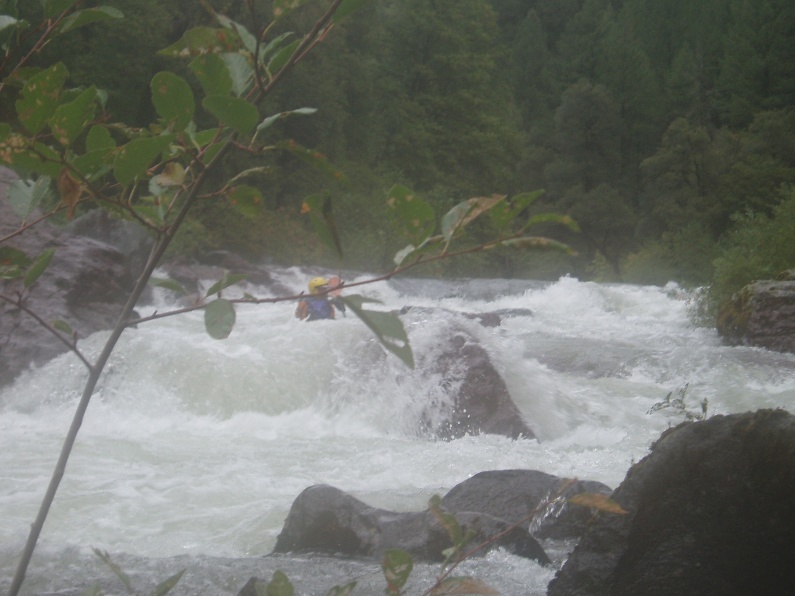 After the last big rapid the gradient mellows out and you start getting the first pools of the day. The last 5 miles probably took as long to paddle as the first 15 did to paddle. Ok, one last thing. The day we ran this we ran from Ash camp all the way down to the reservoir. 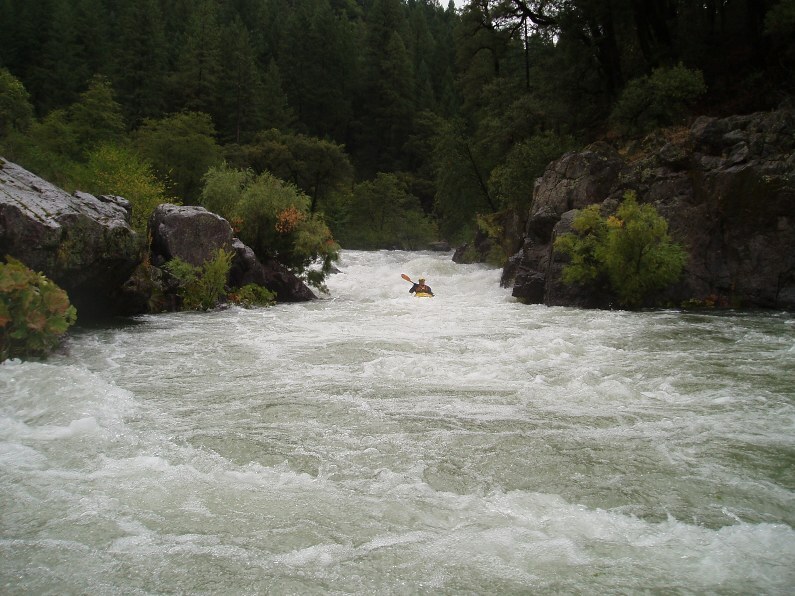 We had ~850 cfs at the top and ~1050 cfs at the bottom thanks to some side creeks. We put on at 8:30 and took off at 2 which was made possible by zero scouting, zero portaging, minimal hesitation above drops, and only 20 minutes or so of total breaks. 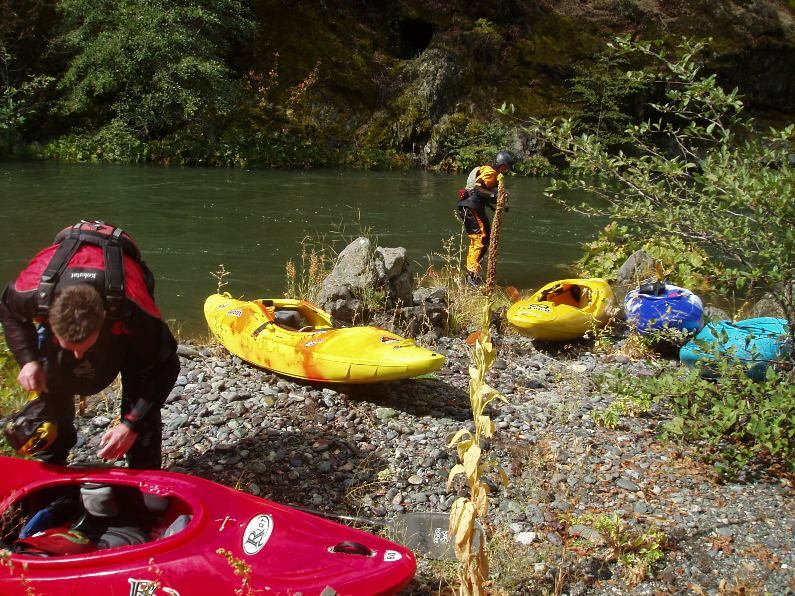 If you are a aspiring class IV boater, I would suggest only doing this run as an overnighter unless you have someone with you who can lead you through the drops. Otherwise you will be scouting so much that it will result in a long day. 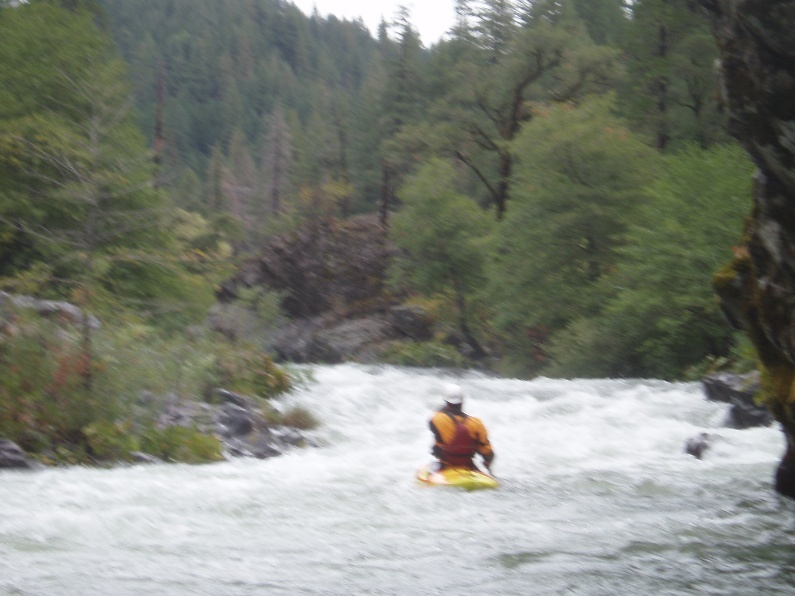 Furthermore, if you are not feeling comfortable on the Lower Tuolumne or Chamberlain Falls, I would expect to do 2-3 portages at our flows. One more thing, if you are a class III boater, I would suggest not going in at 850 or above. The river is very continuous and the shore is over grown. Even when we wanted to stop to go to the bathroom we had to wait up to a half mile to find a suitable place to pull off for a moment. A swim could become arduous and would take the fun out of the day. There are a few class III rapids in this section, but as far as I can remember there were none that were class IV, if there were they were just long affairs that were easy to read and run. Also, if you want to camp, find somewhere in here, the land turns to private shortly after. A foot bridge and bigger bridge come over head. Upstream there is a line across the river signaling the start of private land and the end of camping options. From here the mileage is approximate. Brush (IV-). Just around the corner the river disappears amongst a lot of brush. If I recall we started on the right. I know we caught an eddy on the left right above a really blind part. 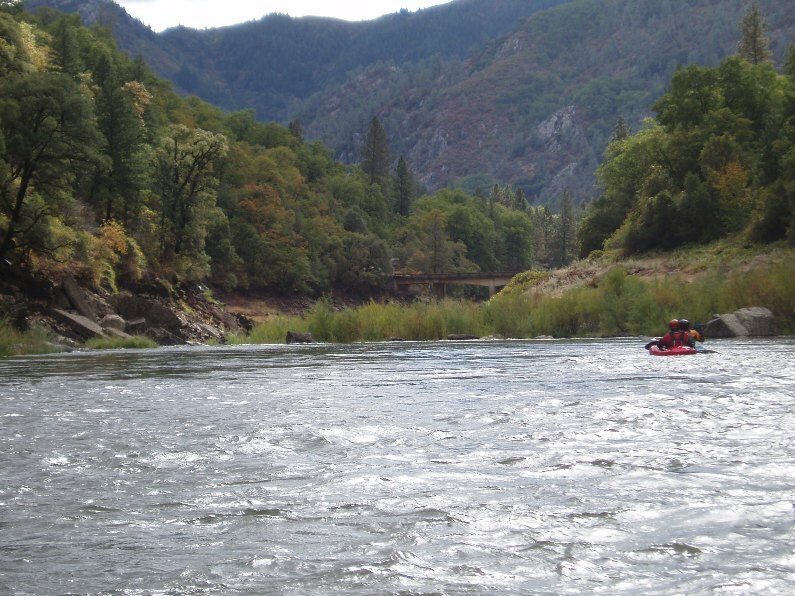 Using some mid river eddies we were able to pear down the left and see that it went. The rapid is probably about 1/3 of a mile long. 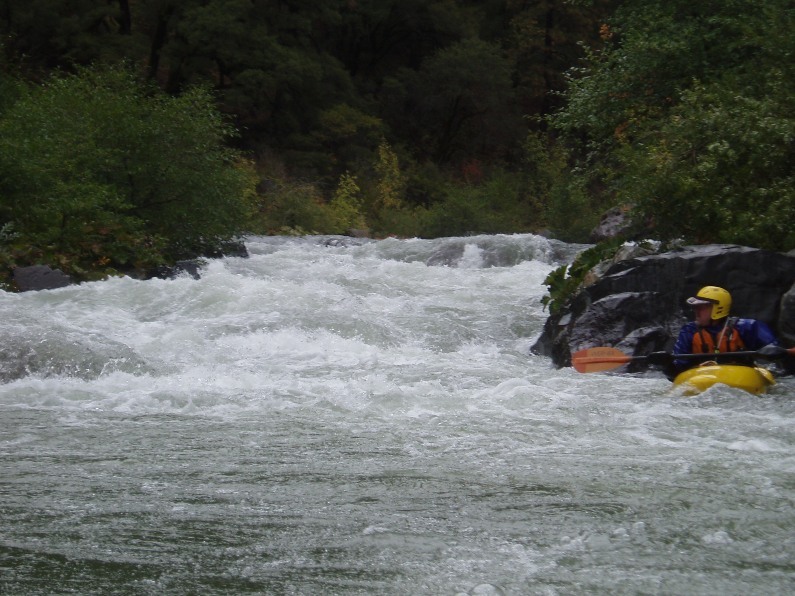 CaCreeks names this rapid and the next as "McCloud Swim Club." Double Drop (IV-). 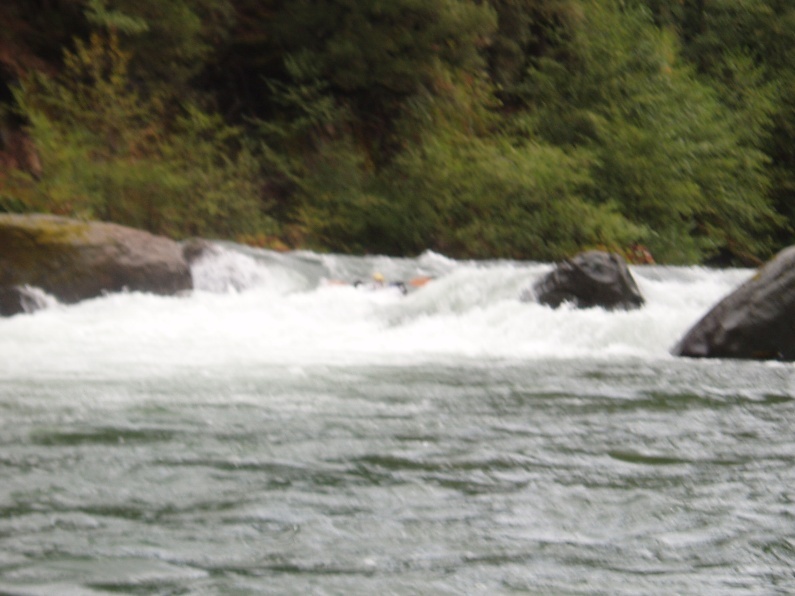 Just downstream of the brush rapid was a meaty double drop with two rowdy holes that we took down the gut. 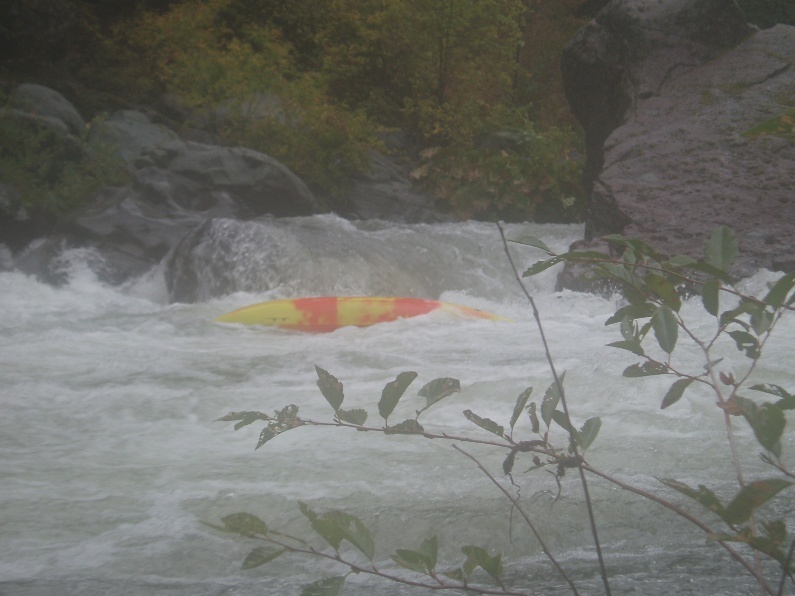 Tuna Creek (IV+). 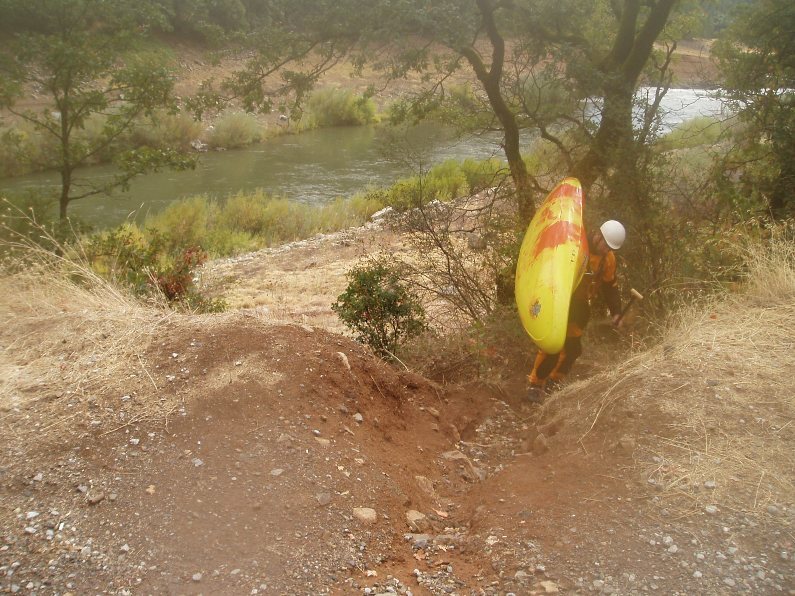 There was large hole on right and left, but a small window going perpendicular to the river left to right allowed you to enter the drop and boof into one of the holes. 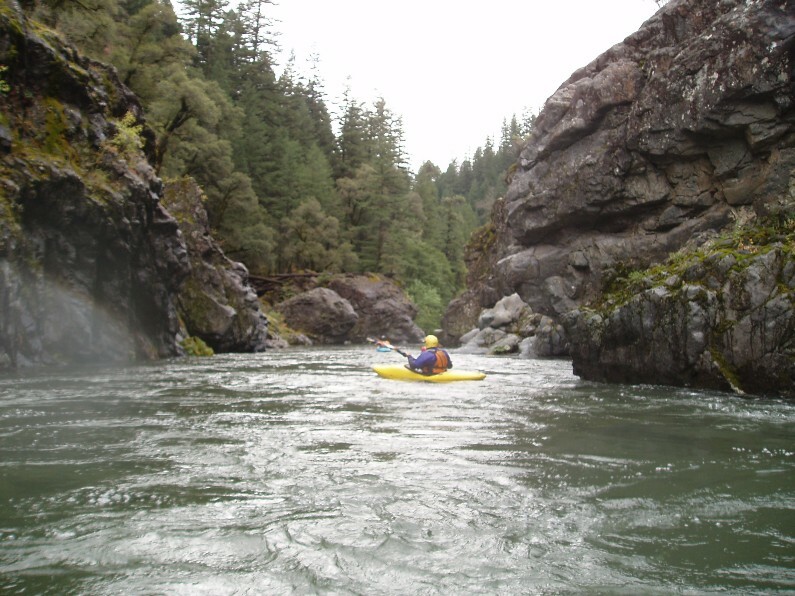 There were then several rocks to avoid before the river split around a large boulder. The right was a ledge drop that is badly undercut at low flows, the left was just an zig-zag at our flows but can also be sieved out at low flows. Flake (IV). A steep ramp with holes and waves pushes you towards a very large flake with a mammoth hole behind it. Drive right across the ramp to get around the flake. Just next to the flake was a weird curling hole which was fun to squirrel our way through. The run out then continues around the corner. Rapids are class II with a few class IIIs. Pools are more frequent and the last miles start to drag on if you are doing it in one day. A Meadow with 3 or 4 nice houses appear on the right. You know you are close now, in 10-15 minutes you will be at your car. 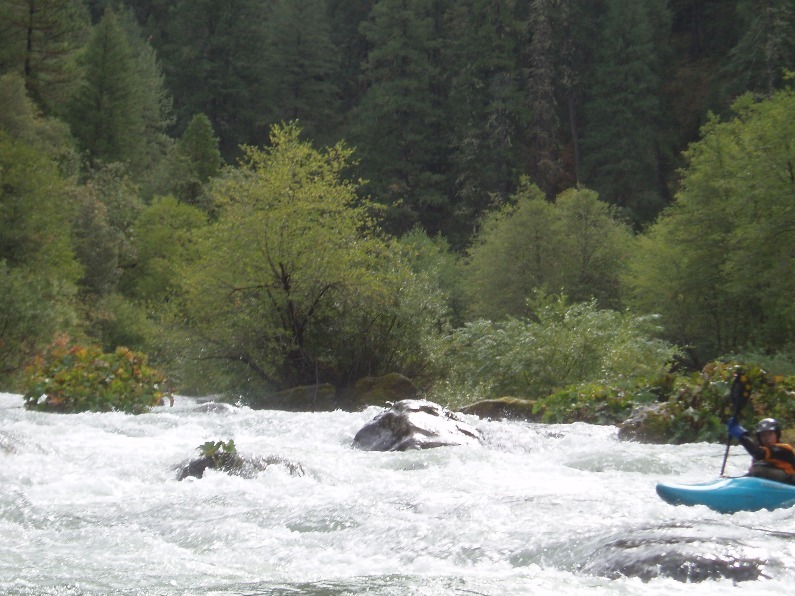 For the 2.5 miles of class IV+ whitewater above this run (and shuttle simplifier) see the Ash Camp Write-up. Camping Info: The Following is a posting on Boof.com from Ron Rogers. " 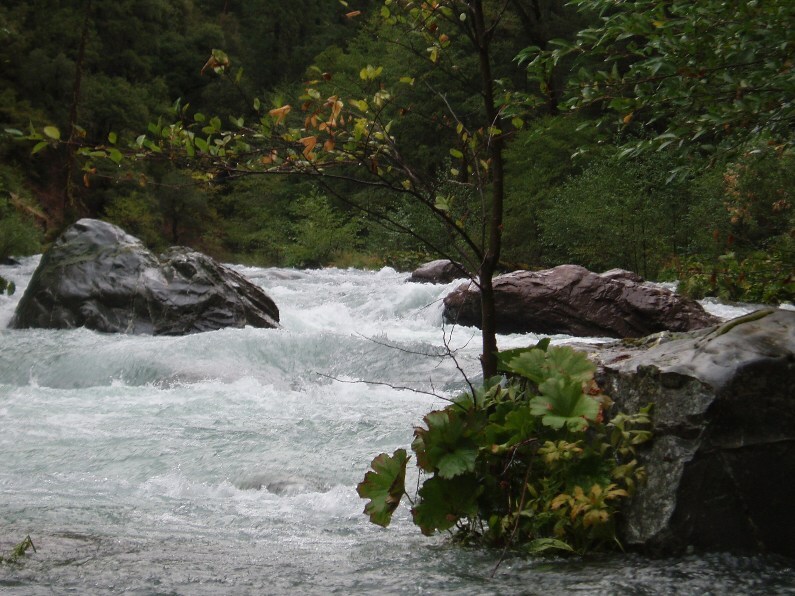 A large parcel of USFS public land is crossed by the river at Claiborne Creek. 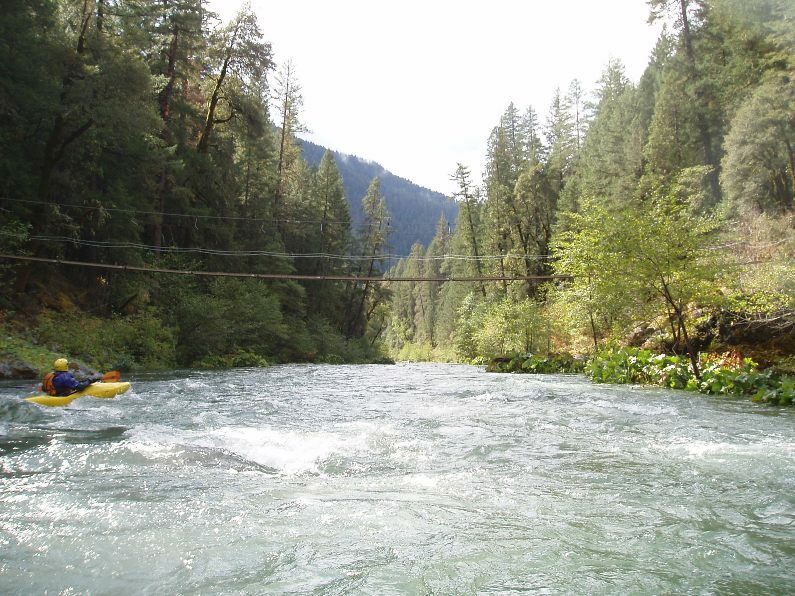 It is easily found because the camping spot is approximately 200-250 yards below the vehicle bridge at the McCloud River Club's private compound. Claiborne Creek, a sizable tributary approx 30 feet wide, comes in on river left. Pull into the mouth and take the short path up to the grassy bench on the right. You will find a well-worn foot path above the camp on public land, constructed by MRC connecting their land on either side of the public land. They also have a little foot bridge over Claiborne Cr, probably on USFS. The upstream (along McCloud) boundary of public land is just on the other side of Claiborne. MRC's full-time caretaker will come visit you. Be polite but firm in your knowledge that this is your public land that you are camping on. Bid him a nice day, and ask if he could spare some extra G&Ts. 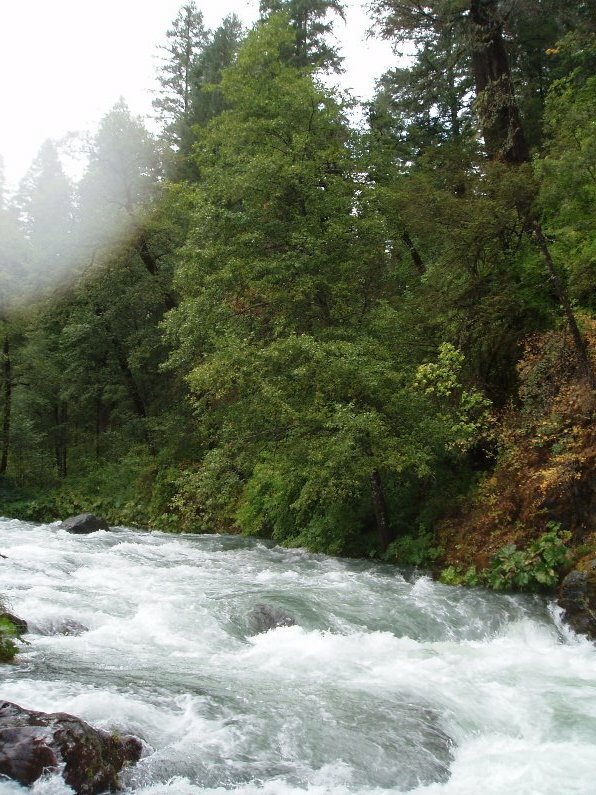 ;-)~ The river right side of the McCloud holds the brass cap, surveyed, corner monument of the USFS land and there is a sizable triangle-shaped portion of the public land over there. The scribing on the cap shows the approximate (very close) orientation of the two diverging boundary lines extending away from the corner cap and crossing the river. I recommend that you DO NOT CAMP ON RIVER RIGHT of the McCloud at this location. An MRC "No Trespassing" sign is posted about 100 feet on the USFS side of the property line. This large flat is easily accessible by MRC vehicles from their nearby road and any extended boater visit could become unnecessarily contentious, imho. There may be more on this matter later." Put-in: Continue North on Highway 5, Take Highway 89 east towards McCloud. 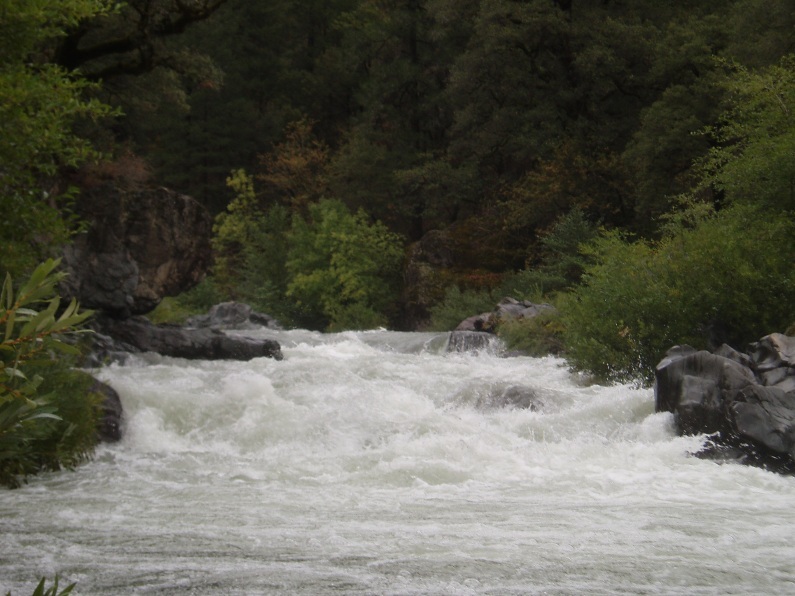 Once in the town of McCloud, take Squaw Valley Road. Continue down to the lake. Ignore the turn that leads 100 yards down to a boat ramp (that is the Upper McCloud take-out). After following the lake you will go up a short arm of the lake, there is a dirt road at the end of the arm. Follow this dirt road 6 miles to Ah-di-na campground.